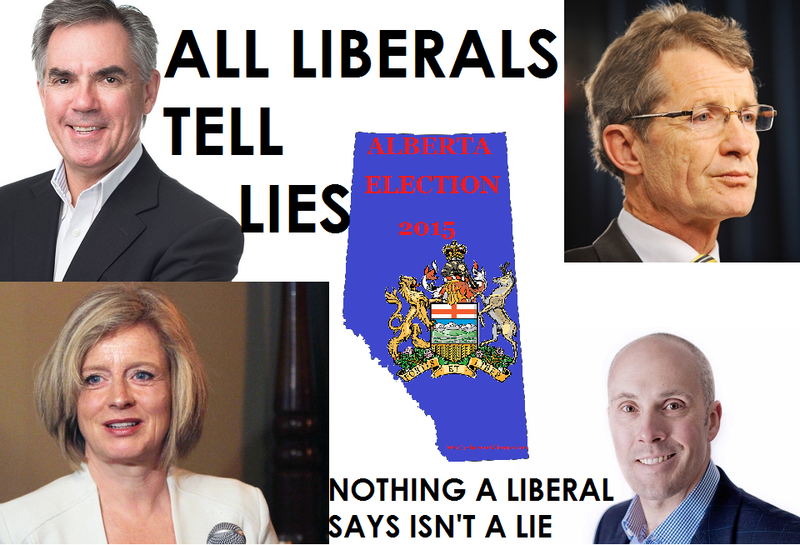 The Alberta Liberals are not doing well. Following their last disastrous session where they were led by mentally-ill Raj Sherman, they were the only major party (or, for that matter, minor party) which didn't kick off the 2015 election cycle by bringing in a new leader. They failed to run candidates in 30 ridings and are now gunning for the Alberta Party to try and save their vote share. Which is why, since their interim leader is "Doctor" David Swann, it's a good time to revisit this old post, where I exposed him as a liar and violated medical ethics by scarring voters over something that isn't backed up by science. November of 2009 was when the H1N1 crisis had hit all of Canada, Alberta especially hard. It's weird looking back at this now with the whole "anti-vaxxer" campaigns going strong, but there were anti-vaxxers back then as well. In fact, the Government was pushing people to get vaccinated in the wake of diminishing public interest in flu shots. Governments were used to seeing 10-15% demand and were hoping to push it up to 25%. Instead, interest in H1N1 spiked, and 60% of the province wanted to get vaccinated all at once. Unfortunately, Alberta only had bought a proportion of the vaccine and there wasn't any more coming down the pipeline. Faced with an unexpected supply/demand shortage, the government had to start rationing the shots. That's where "Doctor" David Swann went off the rails. I’ve heard from seniors...the very people most at risk and most likely to benefit from the vaccine! Elderly, you may note, are not being targeted for immunization in the newly revamped plans the Alberta Government announced today. Why is this? Why, its simple. Seniors are not in high-risk groups for the Swine Flu. Oh, also it appears that the elderly receive little benefit from the flu shot. David Swann lied. He said a group was at high risk and they weren't. He scare-mongered for cheap political points, a clear ethics violation. Either Doctor David Swann, the man who wants to be premier in 2012, knows less about H1N1 than some blogger who vaguely recalled that the elderly were not at risk from newspaper stories I glanced over weeks ago... or else the Leader of the Alberta Liberal Party is lying to the people of Alberta in order to scare a significant voting bloc into believing that the Government of Alberta is taking actions that will harm them. Either that, of course, or he doesn't know much about medicine. He was fired by the PCs in his public health officer role, maybe it was because he was incompetent? His further comments, where he gets basic non-medical facts wrong, point to the latter. After all, there are no lineups at clinics today. The H1N1 vaccine has been on hold since the flu clinics closed on Saturday afternoon. This was The Bear's "hot topics" on the Paul Brown Show both yesterday and today. It was the topic of letters to the editor, it was discussed on blogs... in fact, just yesterday David Swann discussed it on his blog! While I understand Swann's desire not to have to read anything he's written twice, he possibly should remember writing it. For what it's worth, Swann also lied to the Legislature, saying he was going to get vaccinated later that same day. He later claimed he didn't, and the media fact-checkers seemed to concur that what he said outside the Legislature was true. They ignored what he said inside of it. They also ignored that he assumed 2 million Albertans would be getting inoculated. I also notice that Swann wants us to forget that 10% of the population have gotten immunized and its expected no more than 60% will get immunized, "at this rate" the vaccine will be delivered by Christmas, not Valentine's Day. Meanwhile, the shortages of vaccine compared to original assurances is something that Swann doesn't like mentioning either. This guy sure doesn't seem to know a lot about the vaccination program he's promoting, does he? Swann then proceeds to demand more tax dollars go to groups not at risk, suggests putting the elderly to work minutes after complaining they were made to stand up, and...well, demanding more tax money. There's no plan in Swann's little gag here, is there? Just another plea for more cash. As the 2015 Alberta Election progresses, and Swann's party stalls for support, just remember: he isn't really a doctor, he just plays one on TV...no, wait, for some reason he instead does the exact opposite. He's a Liberal. He's also a liberal. Therefore he's a liar. Punish him at the polls.